If you've read some other articles on this blog you might know that I like creating visualizations of various datasets. I've just started a small project where I want to visualize some data from Twitter. For this I want to retrieve information about followers and profile information directly from twitter. I actually started looking for a set of all twitter accounts, but could only find one that was two years old. 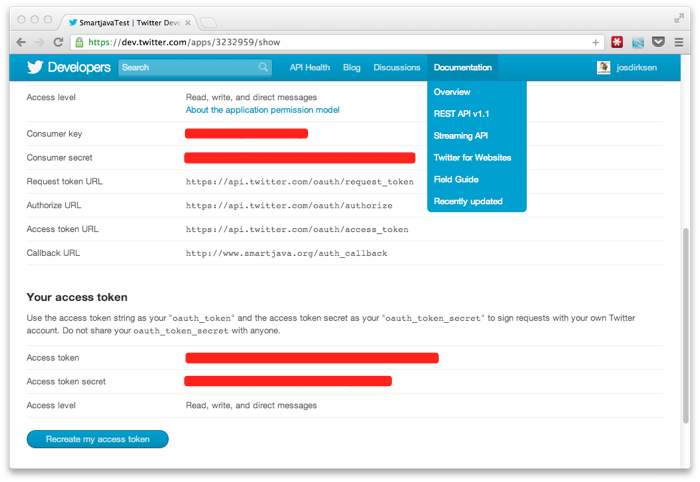 So, only option left, directly access the twitter API and get the data myself. There are a couple of open source libraries out that we can use directly from Scala (or java) but as far as I could see they use the old v1 API and not the v1.1 API. The old API has a very strict data rate limit, which is a bit lighter in the new API. And besides that I'm more interested in the raw data and parsing the returning JSON isn't that hard with Scala (or Java for that matter). 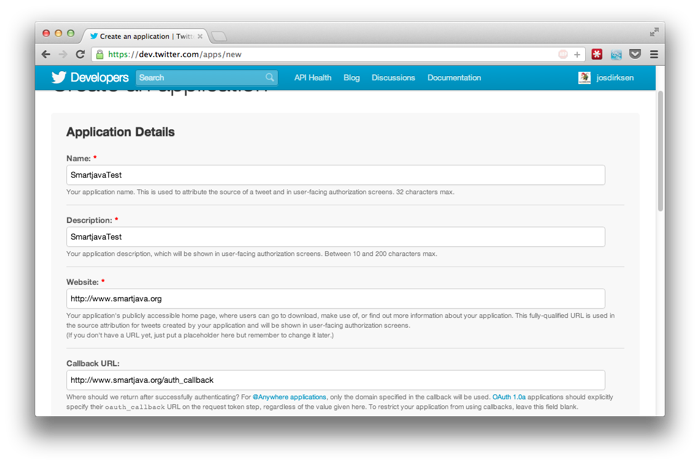 Once you've created the application and setup the correct permissions you can generate an access token. 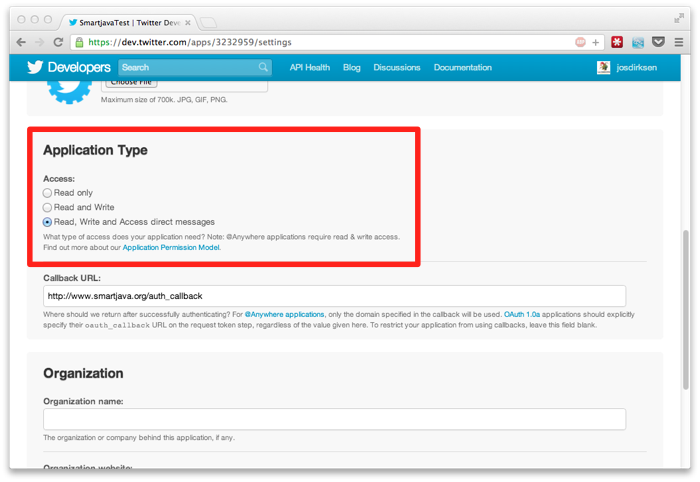 Doing this will avoid having to go through the complete OAuth dance. You do this by going to your new app details and at the bottom select the "create my access token" option. 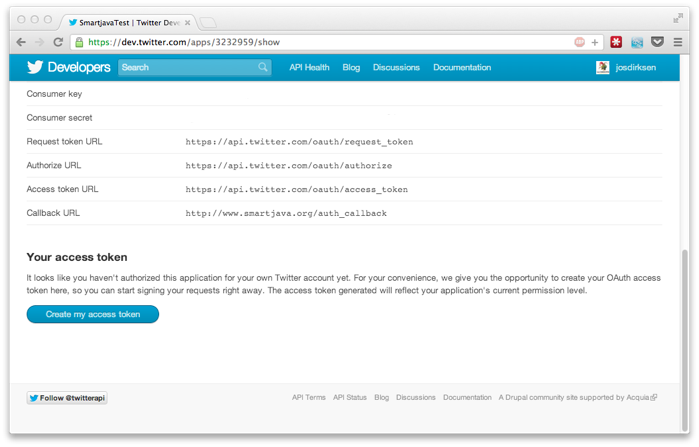 We'll use these tokens to authenticate the requests we'll make to twitter. The OAuth protocol is a pretty good documented protocol, but implementing it yourself is a lot of work and very error-prone. Luckily there are many OAuth libraries that can help you. I've tried a couple and the one that's most easy to use (at least for me) was signpost. The examples below show how to do this from Scala, but you can follow the same approach for Java.